Avoid a cloudy fish tank and keep your water crystal clear by practicing good aquarium maintenance habits. When the water in your aquarium turns cloudy and your beloved fish disappear into a hazy fog it is easy to get frustrated. Sometimes the reasons why your tank went from fish heaven to fish apocalypse may be as clouded as the tank water itself. Rest assured, tank water does not change so drastically without reason. This means you probably did something wrong. But it also means that, once you understand your mistake, you can change your tank management practices and greatly reduce the chances of it happening again. 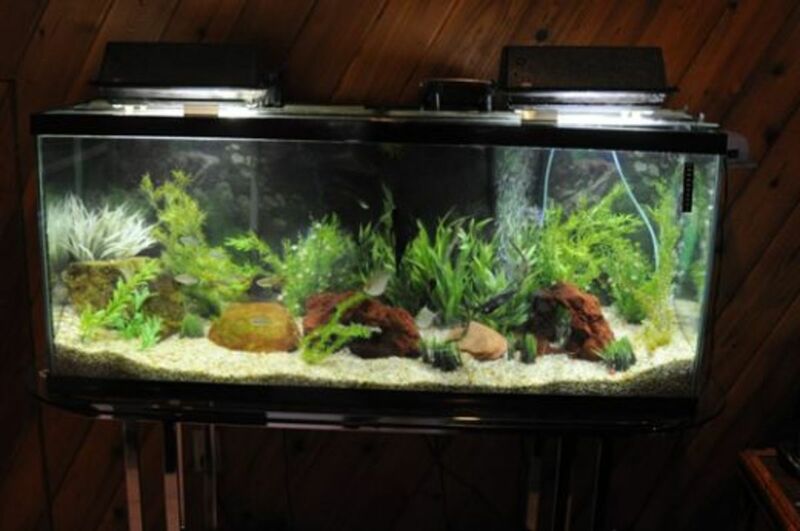 In this article you will read about five common reasons fish tanks turn cloudy. One or several of these causes may be at the root of what has happened to your tank. In many cases these problems are easy to solve, and if you act soon enough your fish should pull through without any trouble. Throughout this article you will see two pieces of advice repeated no matter the cause of your cloudy water. First, you need to perform a partial water change. This will dilute the dissolved chemicals and waste in the water and make it a safer environment for your fish. While it may be tempting to remove all or most of the water in an attempt to clear things up, this can potentially make things worse. A 25% water change is a good starting point. 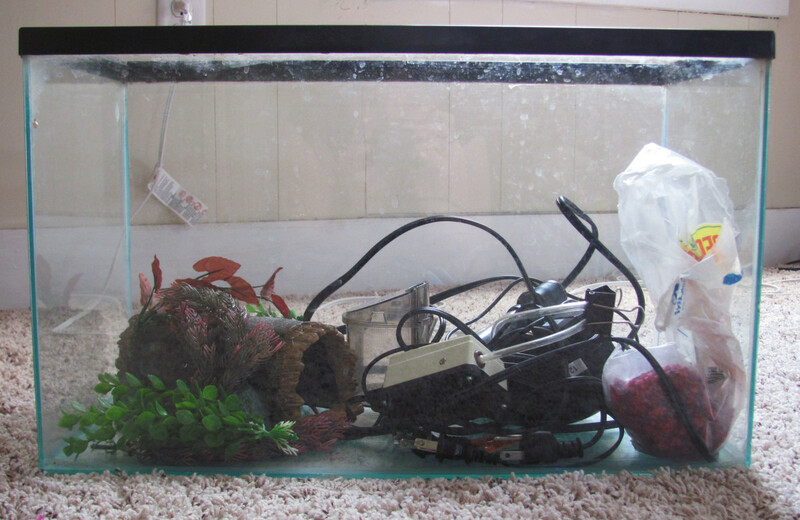 Second, use a gravel vacuum to clean the gravel and remove as much of the fish waste and decaying matter as possible. When this junk is left to accumulate on the substrate it can eventually cause tank-wide issues. With most of the good vacuum systems you can change the water and clean the gravel at the same time. 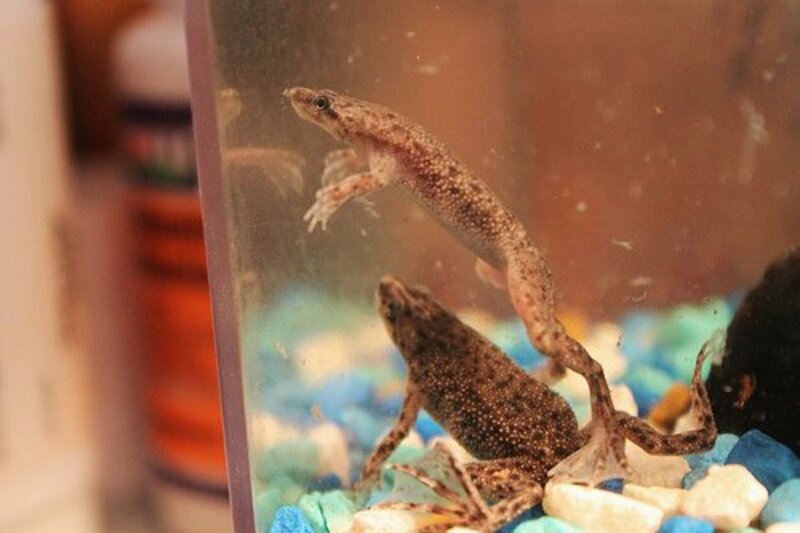 Regular water changes and gravel vacuuming are two of the most important duties of your aquarium care routine. However, there are often other factors that can make your tank water turn cloudy, and unless you eliminate the problem it is likely to occur again. As you will see, some of the issues that cause an aquarium to turn murky are symptoms of greater problems. We'll start with the most common issue that may have turned your tank cloudy: Bacterial bloom. Decaying food and fish waste provides a rich source of nutrients for bacterial growth. A bacterial bloom usually appears as a milky haze. Bacteria in your tank isn't a bad thing. In fact, it is needed to break down waste and maintain healthy water conditions. The balance between microorganisms and the fish in your tank is what keeps harmful chemicals under control. But when something tips the scales and the bacterial colonies in your tank can't get the job done, that's when water quality suffers. Waste builds up, and the bacterial population suddenly explodes with the abundance of food. Most commonly, a bacterial bloom occurs when a new tank hasn't been cycled properly, or when a massive water change and aquarium cleaning results in a mini-cycle as the bacterial colonies in your tank go through a stage of re-population. This is a big reason why you always perform partial water changes when performing regular tank maintenance: You don't want to remove too many of the microorganisms that are keeping your tank healthy. So what can you do? If you have just performed a big water change or if your aquarium is new it will simply take a little time for your tank to come in balance. The cloudiness should clear up on its own in a few days. However, if you believe the bloom is due to factors such as excess waste matter accumulating on the substrate or even a dead and decaying fish, you need to take action. Perform a partial water change and get out your gravel vac. Regular partial water changes help to dilute harmful waste chemicals and keep your water healthy. But changing out too much water can have a negative impact on healthy microorganisms in your tank. 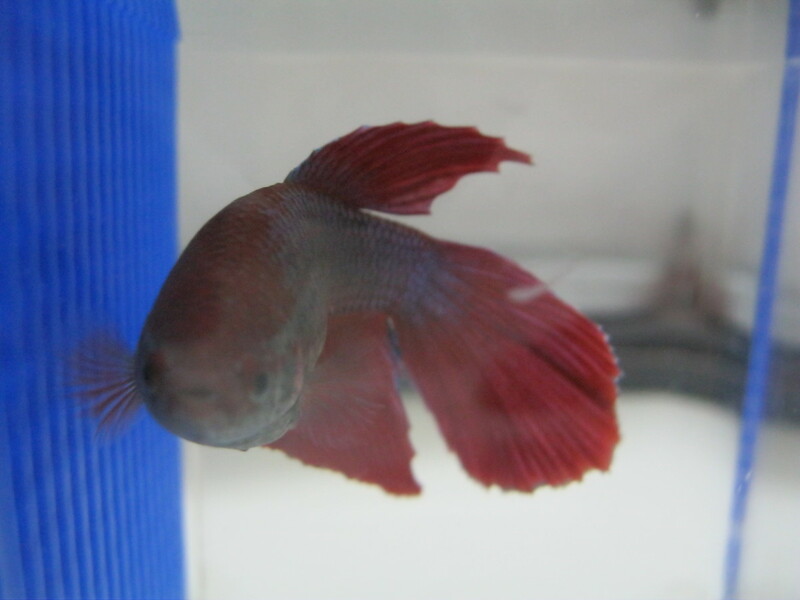 Feeding your fish too much and too often in itself can cause water cloudiness. This may be due to food particulates dissolved in the water, a bacterial bloom or both. The instructions on many fish-food containers tell you to feed multiple times per day. That’s fine, but if you are going to do that you really need to get a handle on how much your fish are eating, and how much is drifting to the bottom of the tank. Uneaten food decays, and enough of it can cloud the water. 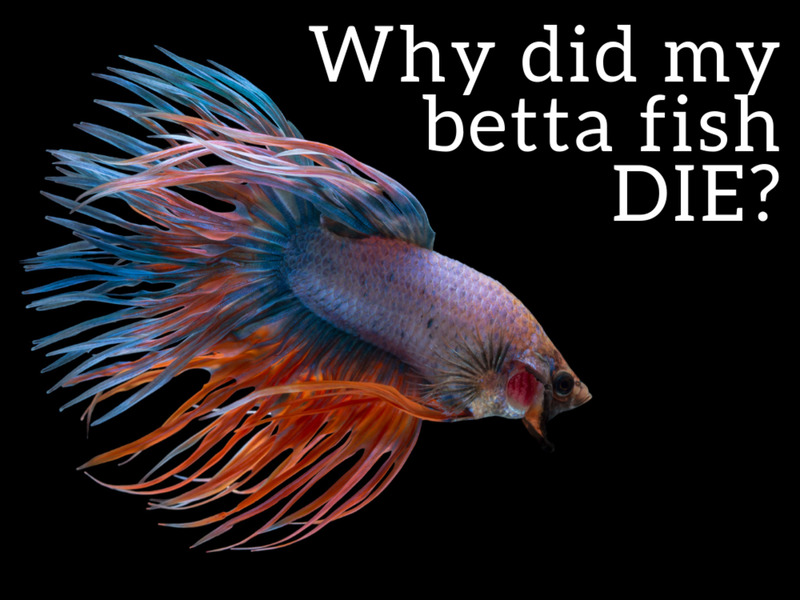 This can happen in a large tank, but it is also the kind of issue that often happens to well-meaning Betta owners. 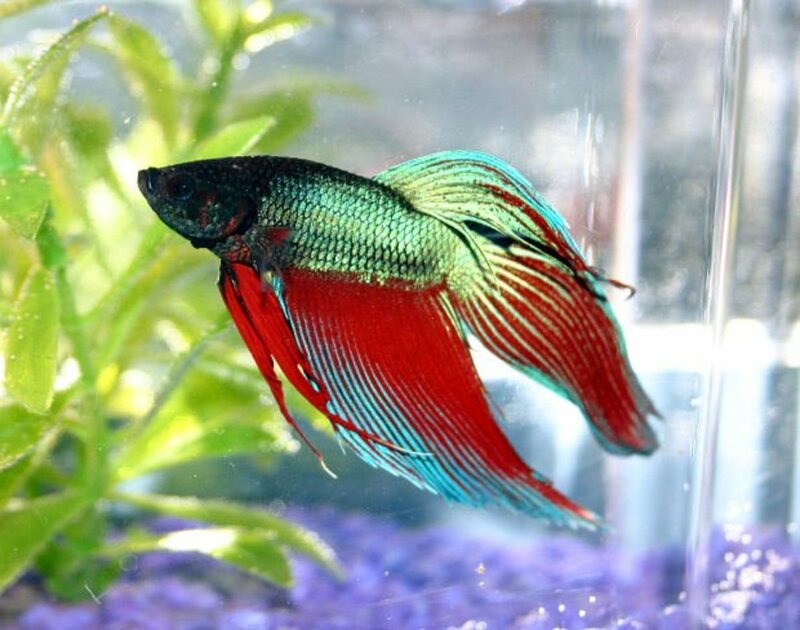 One little Betta fish does not eat a whole lot of food, so giving him a pinch of fish flakes a few times a day will soon pollute his little tank. To remedy this problem perform a partial water change and vacuum the gravel in order to clean up the tank and make it safer for your fish. Then, you need to reevaluate how you are feeding. I prefer to feed once per day, and allow them one day of fasting per week. This is healthier for your fish than overfeeding, and will help keep your tank cleaner. Remember, some of what goes into a fish is eventually going to come back out. Feeding too much food not only means more decaying, uneaten food in the tank, but also more fish waste. Overstocked fish tanks have multiple issues. Aside from behavior clashes and stress for the fish themselves, the tank conditions in an overstocked tank can often deteriorate to a toxic environment which can result in cloudy tank water. To understand the problem, think of your tank as a little ecosystem, something like a tiny lake. Your tank has microorganisms that help to break down waste, and the filter systems serves in the role of the streams and springs that cleanse a lake and aerate the water. Just as a lake can only support so much life, the same is true of your tank. A lake is more resilient because it has the advantage of a constant supply of fresh, clean water. But, because your tank is a closed ecosystem with no fresh water coming in, once things are out of whack it is unable to regain that balance without your intervention. Some fish keepers make up for overstocking by over-filtering and keeping a heavily planted tank. Both of those things help, but ultimately the solution is to keep your stock down to a level that the tank can maintain. Perform a water change and vacuum the gravel to get things back somewhere close to normal, but then find a way to re-home some of those fish. 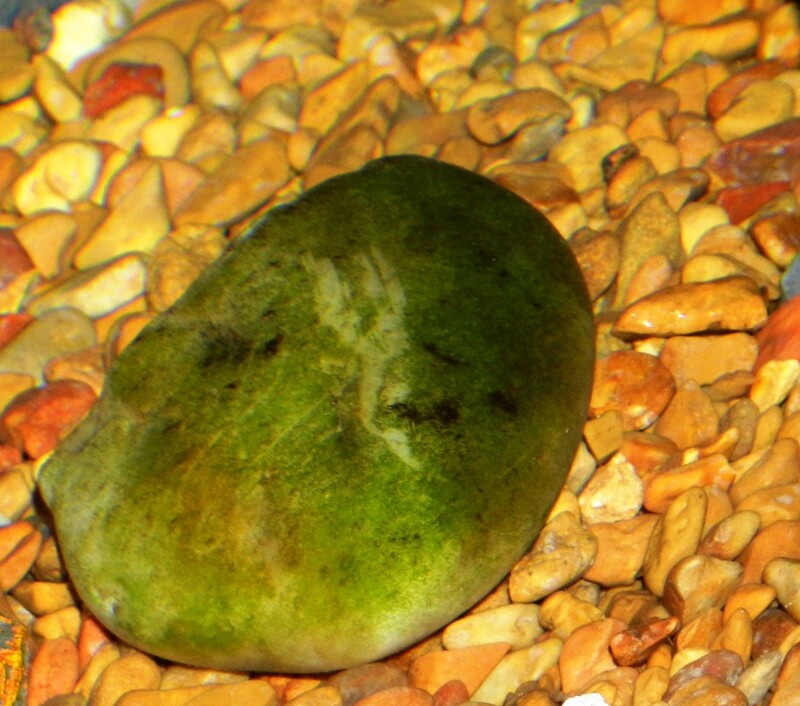 Algae growth is typical in aquariums, but a sudden algae bloom can turn your water a murky green. If you have run an aquarium for any amount of time you are likely well aware of algae. These plant-like organisms grow on your decorations and the sides of your tank, and left unchecked can turn your tank into a green mess. Algae blooms often appear as a greenish hue. Algae thrive on the same things that plants love: Food in the form of nitrogen, and sunlight. If you are having a problem with algae blooms in your tank the cause is probably related to one of those two factors. A sudden spike in nitrogen in the form of excessive feeding and/or fish waste (see above) may also cause a sudden algae bloom. Remember that algae aren’t just a nuisance, they are living organisms in your tank and therefore impact the ecosystem just like fish or plants. 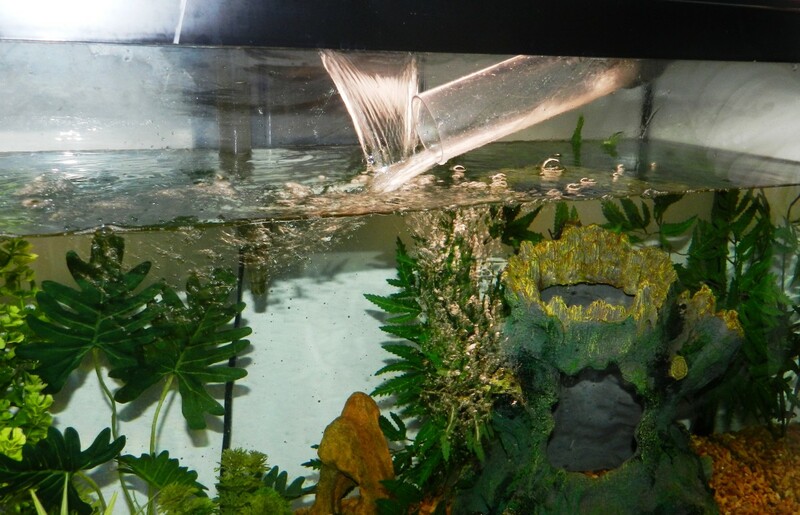 If you do nothing a sudden increase in algae can upset the balance of your tank, and this is bad for your fish. Another reason you may experience frequent algae blooms has to do with your tank placement. Your tank should not be hit by direct sunlight during the course of the day. If it is, this gives algae some added energy to get growing. Remember, like a plant, if it has food and sunlight it can thrive. The solution to an algae bloom is to perform a water change and then remedy whatever situation caused the bloom. This means either get your feeding practices under control, or move your tank to a location where sunlight won’t help algae run amok. Discover some easy ways to manage algae in your fish tank and keep your aquarium healthy. Here’s a reason a tank may turn cloudy which really isn’t a care mistake on your part, but may instead be due to a lack of knowledge of your tank decorations. Using natural driftwood in your tank is a great idea. It looks fantastic, and some fish will benefit from nibbling or rasping on it. Driftwood can also drop the pH of the tank water slightly, which is useful if your water source is a bit hard like mine. But if you’ve just added a new piece of driftwood to your tank you may notice your water has turned a yellowish tea-like color. This is because driftwood, especially commercially available types like African Mopani, leach tannins into the tank water. This isn’t likely to harm your fish, so you can wipe some sweat off your brow. But if you don’t like the hue your tank has taken on because of the tannins, but you do like the driftwood, there are a few things you can do. Common advice is to boil the driftwood before dropping it into your tank. However, sometimes the wood you have chosen is too large. In these cases, I’ve used a large storage container to soak a new piece of driftwood for several days before placing it in the tank. As with everything else that touches your tank, be sure to use a container that does not have a buildup of detergents or other chemicals. If you have carbon in your filter it can help a little, and regular water changes (not more than weekly) will gradually clear up your water. Driftwood stops leaching tannins over time, so eventually this will cease to be an issue. Keep up with tank maintenance. This means a regular schedule of water changes and gravel vacuuming. Do not overfeed your fish. Excess food means more waste. Do not overstock your tank. Too many fish means your tank can’t keep up with the processes required to keep the water healthy. Do not place your tank in direct sunlight. Just like plants, algae thrive in sunlight. Of course we all falter from time to time. Life gets busy and you neglect to perform simple aquarium maintenance chores, or a personal or business emergency takes your time away from your fish keeping hobby. If this happens, all is not lost. Once things settle down you can usually get your tank back on track. How often do you experience a cloudy aquarium? Should I have stones in my fish tank? Gravel is very important in a fish tank, and you should have about a pound of it for each gallon of water. The gravel not only makes for a more natural environment, but gives the good microbes a place to thrive in your tank. These microbes help to manage waste and keep your water healthy. If you don’t wish to have gravel, you can use sand or small pebbles as substrate for the bottom of your tank. As far as using stones for decoration, that’s an aesthetic decision and totally up to you. 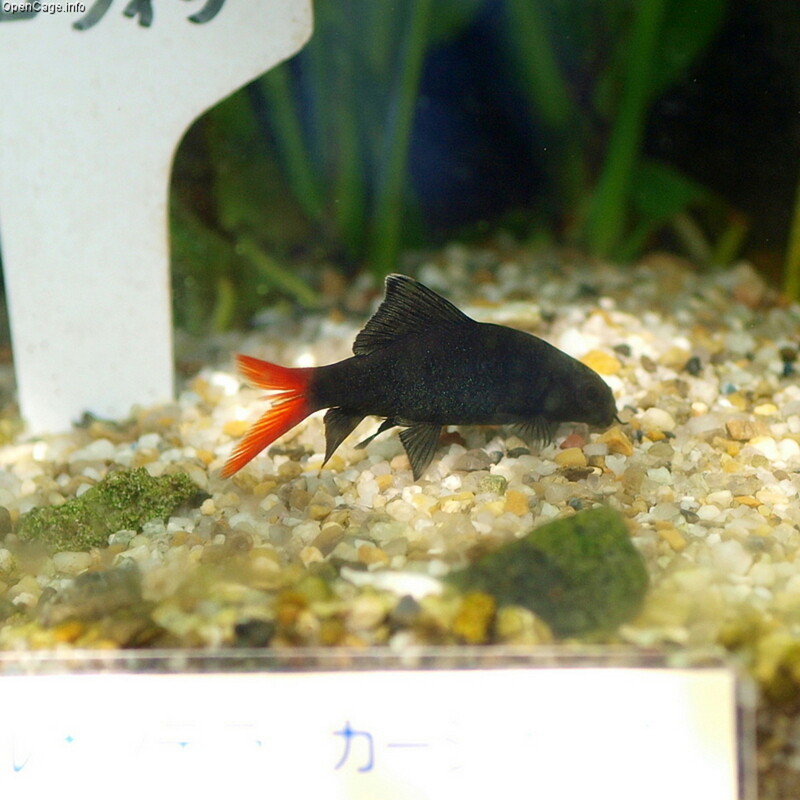 However, I will caution you to only choose stones and rocks that are safe for aquarium use. One easy way to be sure of this is to only use stones you’ve purchased from a live fish store or pet store, and that are specifically intended for use in aquariums. You can also hunt for stones outdoors, but beware that this can be potentially harmful to your fish. Some stones can have minerals or dangerous metals in them that will leach into the water. They may even have fungus, parasites or pesticides. So, if you do choose rocks from your yard or garden, be sure to do some research and find out what they are and if they are okay for aquarium use. I have used rocks from the outdoors in my tanks before, but I wasn’t very comfortable with it. My general rule of thumb is to only put things in fish tanks that are made to go in fish tanks. I've had my tank for about a year now, and it never got suddenly cloudy until now. It seems to happen every time I change the filter. This has never happened before, but it's happening all the time now. Anyone know why? @footballology - I really appreciate the request, but I prefer my original images remain exclusive to the articles for which I created them. You can certainly reference the article if that helps you at all. Good luck with your book! @Virgil - Did you thoroughly rinse the gravel before adding the water? If not that could be the reason for the cloudiness. Please research the nitrogen cycle. You should cycle your tank before adding any fish. @Nancy - I would leave the tank alone for a little while and see if it clears up. It sounds like you are making a lot of changes and doing a lot of cleaning. He is also getting a little big for a 30-gallon tank, and I'm wondering if that may be part of the issue. @Kay - There could be a number of reasons for you readings, including excess feeding, overstocking and a tank that hasn't fully cycled. Yes, it could be why you water is cloudy. @ FW - Puzzling. If you are adding bacteria after cleaning the gravel I am wondering if you are seeing a bacterial bloom a day or so after cleaning. Is that a possibility? It is so hard to guess when it is someone else's tank. If you think that might be it, you may try letting it go a little while after it turns cloudy to see if it clears up on its own. Just keep an eye on the water parameters. 7.0 ph, 0 nitrates, 0 nitrites, 0.2 ammonia, all is good. My Nitrites and Nitrates are high what do I do to get them lower? And could that be why my water is cloudy? @FW Fishman - When you test your water what readings do you get? I have a 100 gal. freshwater aquarium. I have performed 3 partial water changes in as many weeks and vacuumed the gravel. My water keeps turning white, cloudy. I am frustrated because I am doing what everyone says to do but it just keeps getting worse. My tank is not over stocked, I have an under gravel filter with two powerheads and an HOB filter. I do 25% water changes and add the necessary bacteria and startup fluids. What am I doing wrong? @vallamuthu - I have never even considered adding those things to a tank, so I can't even guess if they are appropriate or not. Have you seen other aquarium owners try this? I would guess the debris and fine particles in the lake soil and compost are responsible for your cloudy water. It may just need to settle. No doubt you have added a lot of nutrients to your tank that will help plants grow, but when you take soil from nature you are potentially adding a lot of other things too, such as pesticides, live and dead organic material and harmful natural substances. It sounds like a cool idea and I hope it works out. I am having 200 liters tank for past 6 years. I plant to grow live plants, so I have added normal lake soil and added little bit vermi compost. After that water changed as cloudy. I have changed the 75% water daily but it changed as more cloudy. @Angela - Do you test your own water or did you have it done by a pet store? If the water is suddenly cloudy it seems like something had to change. Did you add new fish? Did a fish die? Did you change something in the room so they are getting more light? Possibly overfeed a few days? A change to your water source? You can try an activated carbon insert for your filter, but you really want to figure out why it is happening. Sometimes established tanks suffer from what is called "old tank syndrome" where problems slowly creep up. You should see any issues reflected in your testing though. @Kenny - It's impossible for me to say without working on the tank. I'd just be guessing. One thing I'd try is reducing the water changes to every-other week to see if that makes a difference. Keep testing your water. Otherwise, I suggest learning as much as you can, from this article and others, in order to get to the root of the problem. Good luck! @Cheryl - The only thing I can say is try to pin down what is different with this tank compared to the others. Location, maybe? Too much sunlight? Plants/no plants? Water change frequency? Are you using the same water source for all tanks? It's tough to guess. I wouldn't tear down the tank until you've exhausted every possibility though, unless you can easily rehome your fish into your other tanks and just don't want the hassle anymore. Constant cloudy tank water. Tried most everything. Water tested good after cycling. A bit low on PH for Sail Fin Mollies but use PH up with water changes. I am thinking I do to many. Almost every other day I vac and do 20% change. Not over stocked, not over fed. however do have black hair algae Using EF but does not kill all of it. Took out some things and ran them in hot water but this stuff is resentless. Put in extra filter pad this morning but so far it is still the same. Have Octo. cats and I think it is to much for them to eat. Don't know what to do next except take down entire tank, Just do not want to go threw this again. Any suggestions? The tank is a few months old. Have 6 tanks and this is the only bad one. @Lizz - I'm thinking you are seeing a bacterial bloom in the 10g after water change. You already seem to have a handle on your feeding, so you may want to vacuum the gravel every time you change the water if you don't already. I also suspect your tank never fully cycled before you started adding fish. You can use a freshwater test kit to measure your water parameters before and after a water change and it should give a good idea of exactly what is going on. Good luck! I have a 10 gal tank, with only 1 guppy and 1 snail and 1-2 days after a partial water changes my tank turns cloudy. I let it cycle about a month before adding fish and it has done this since the fish were added about 8 months ago. I feed about a small pinch every 2 days and only do partial water changes about 1-2 times a month. I have a separate 5 gal tank with 1 goldfish and the water stays crystal clear all the time. What am I doing wrong? @nancy - Have you tested your water using a freshwater test kit? Knowing your water parameters is the first step to figuring out what could be wrong. I have a 37 gallon tank for 8 months . Since day one as always had a white cloud look to it. I have tried bottle water and out of the faucet. Never changes.even went so far as to change everything in tank including gravel. Same problem immediately. Could led lights have anything to do with it. I'm ready to pack it up. Please help. It started out very clear but last few days gone cloudy! @Virginia - Try skipping the blood worms for a while and see if that helps. When I did a 2nd water change it got cloudy, I thought it would clear up but it hasn't. I have a 29 gallon tank and have 11 fish. I give them a pinch of food around 10 in the morn. And give them a pinch of blood worms at 6 at night. @Laur - I guess it is possible the tank is still cycling and you have a big bacterial bloom, though water conditioner shouldn't make your water cloudy under normal circumstances. Are you testing your water? You can either give it a few days and see if it clears up, or since you have no fish you can replace the water and start over. I have a new aquarium and the water is cloudy. No fish...yet. i used a solution...Easy balance and I think that is the cause. What do you think? This was the most helpful, detailed info out there..very good for new fish tank owners:) Thank you so much!!! Keep trying different solutions, Fran. Something is off if the water is constantly cloudy. When you test your water does everything seem okay? @Cathy: Do you defrost the bloodworms in tank water and rinse them before adding? 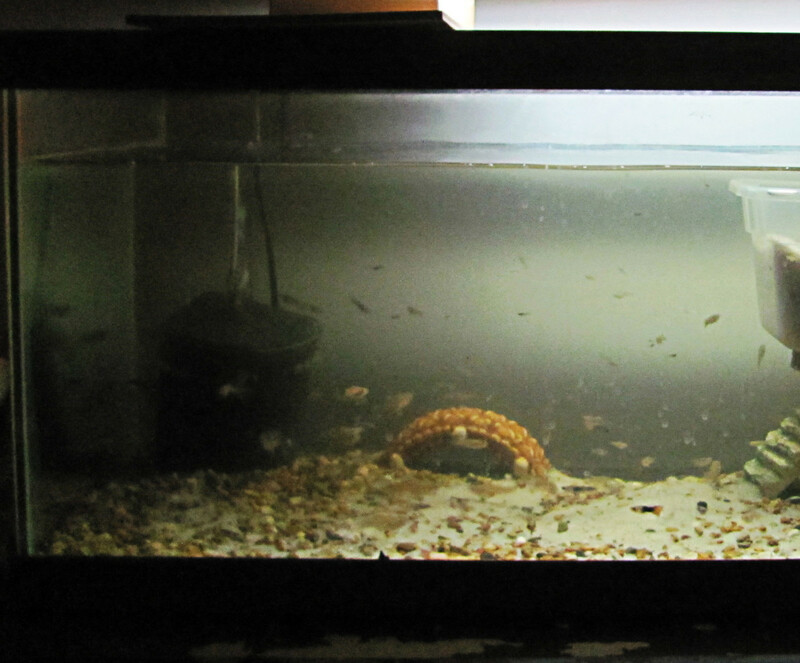 There is a lot in those cubes, and while the fish may eat all the worms the extra debris can add up over time. You may also try skipping the bloodworms altogether for a bit and see if it helps. Good luck! @Nancy: I'm not sure what advice I can give aside from everything I have written in this article. Have Black Molly's and have a real problem with cloudy water- 10 gallon tank, have done everything, but even after changing the water, the cloudiness returns. Help!!!! Hi Carol. It doesn't seem soft water in itself should cause the cloudy tank issue. You mention using over-the-counter additives weekly. How often are you doing water changes? If you are doing them weekly, especially if you are vacuuming the gravel each time, I'm wondering if you'd have some luck if you backed off to every-other week or even monthly. If you are decimating the microbe colonies in your tank each week they may not be recovering enough to keep up with the waste processing. Good luck! We have 7 fish in a 60 gallon tank; 2 tetras and 5 of the glo fish. After several days of a clean tank, the water starts turning cloudy. 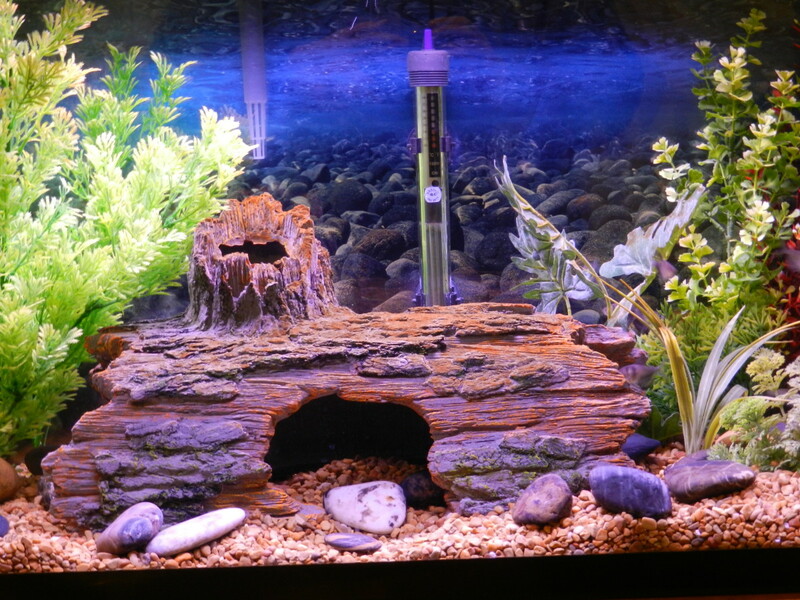 We do all of your suggestions on cleaning, and we add algae fix, AcuClear and Prime to the tank weekly. We have soft water. Could the soft water be causing the problem? this has been reassuring as it this is the first time this has happened it coincided with high nitrates too though i have sorted that. I have been vacuuming daily this week to try and clear up accumulated mess in substrate, some excess fish evicted to friends etc water change for later. will now try and address over feeding. Accurate and very helpful. The usual suspects and proper remedies abound. Thank you! @ Chloe: Your tank may have turned cloudy for any of the reasons listed in this article. Without more info it is impossible for me to say. I can tell you that goldfish should be kept separately and not with tropical fish. We have 3 goldfish and 2 loach and after 2 days the water turns cloudy. As long as you take proper care of your tank and test the water and not overfeed or crowd your tank you should be good. This is a really helpful guide. It's all ups and downs and it has gone a little bit cloudy at times! We bought our first aquarium last month and are trying to get the levels right before we put fish in.